We're proud to award Joland with the $1,000 BNMSF award for achieving academic and athletic excellence. We can't wait to see what he'll accomplish in higher education. Congratulations Dario Almonte on winning the 2017 Babak Najafi Memorial Scholarship recognizing graduating scholar athletes continuing their education at a 4-year college/university! You are a rock star and truly deserve the honor and $1,000 award. We're proud and excited to give the 2016 Babak Najafi Memorial Scholarship to Ellen-Sue Cola. Her academic excellence and inspiring work for the Ramapo community did not go unnoticed. Keep up the great work. We wish you the best of luck at Brown University! For the 11th Annual Football Tournament at Torne Valley Sports Complex, we're excited to roll out a new format! With our goal of getting more involvement with the community, we now have four teams participating from Ramapo, Spring Valley, Suffern, and Manchester Regional High Schools this year, instead of one. The four teams will be playing 7 on 7 games under the stadium lights and helping raise awareness and donations. We also have another exciting update! Students from more than just Ramapo HS will be eligible to apply for the additionally awarded scholarship! The winning team will be able to sponsor applicants for a scholarship to be awarded next June. That means helping out more scholar athletes to further their education. All entrance fees, donations, apparel sale proceeds, and a portion of food sale proceeds will support the Babak Najafi Memorial Scholarship Fund, proudly awarding graduating seniors who excel academically and athletically and continue their education for over a decade. Learn more in our events and facebook page. Join us on February 20, 2016 at Proper West at 3:00 – 6:00pm for a BNMSF social fundraiser. Enjoy good company, order drink specials, and help us raise money to support amazing scholar athletes with a $10 cover charge. Drink specials are $6 select beers, $7 house wines and $8 well mixed drinks. BNMSF is on Amazon Smile! If you're ordering from Amazon and would like your purchase to support the Babak Najafi Memorial Scholarship Fund, please go to smile.amazon.com and search for our organization! Amazon will donate 0.5% of your purchase to support our cause. 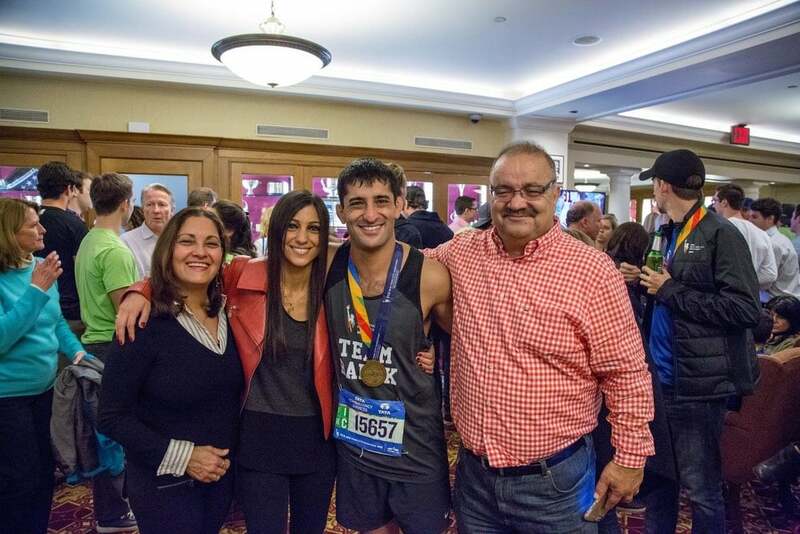 Arash Najafi Completes the 2015 NYC Marathon! 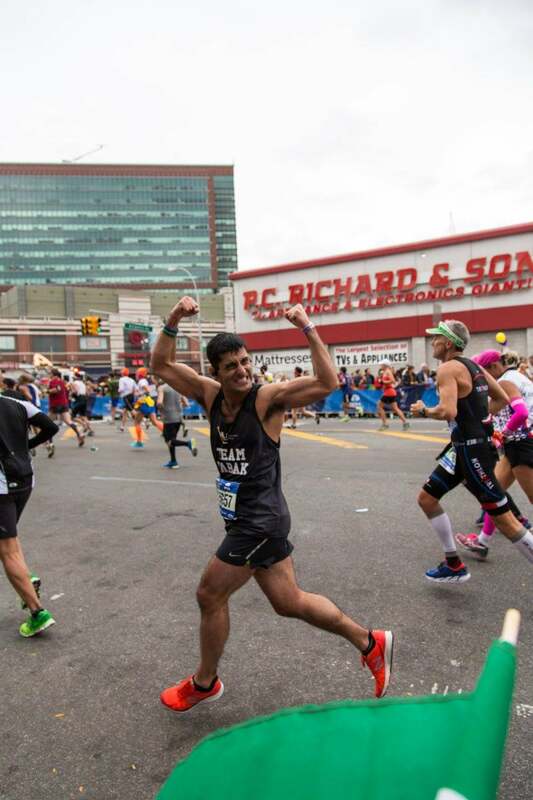 Arash completes yet another NYC Marathon and donated $3,000 to the Boomer Esiason Foundation in honor of his brother Babak. Congrats to Scholarship Recipient Caleb Ferdilus! We wish you the best of luck at SUNY Brockport, Caleb! Congrats to Scholarship Recipient Kaylyn Gordon! Congratulations Kaylyn Gordon! Excited to have yet another exceptional recipient join the Babak Najafi Memorial Scholarship roster of winners! Congrats and good luck!! !